A MUM was left in disbelief when she noticed a $60 parking fine left on her car's windscreen, despite being parked in the driveway of her Perth home. 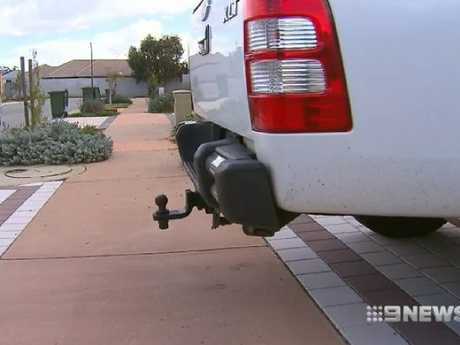 Courtney Luntie-Jenkins told Nine News that her Ford Ranger doesn't fit inside the garage at her house in Byford so she always parks it in the driveway. She had been doing this for more than a year and had never had a problem or been told that it was illegal. But according to the local council her parking habits were a safety concern as the car's tow bar stuck out onto the sidewalk, causing a potential hazard for pedestrians. 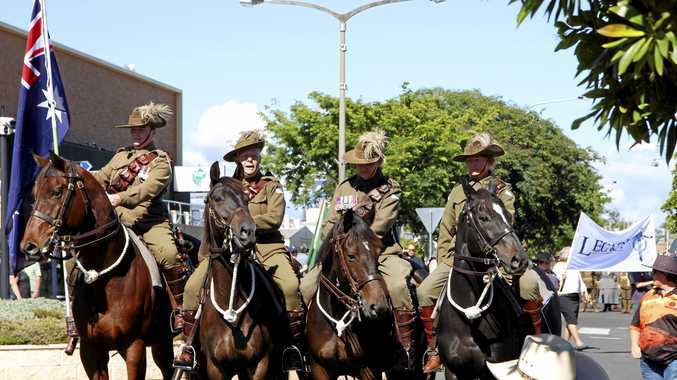 "By parking vehicles blocking any portion of the footpath, including the crossover (where your driveway and the footpath meet), pedestrians may be forced onto the road," according the WA government parking fact sheet. people with disabilities and young children." 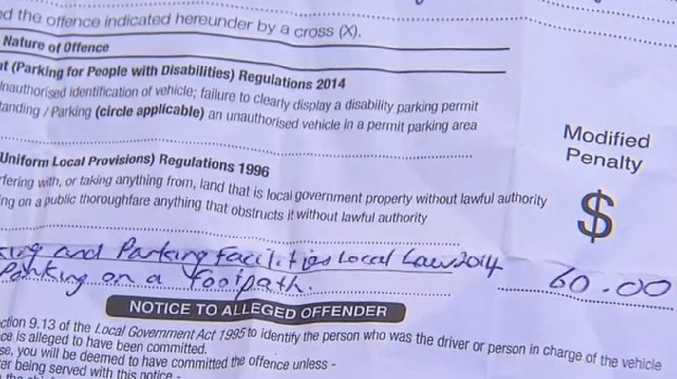 The Perth mum was initially amused by the $60 fine when she noticed it on her windscreen. "We laughed. I thought it was funny," Ms Luntie-Jenkins said. 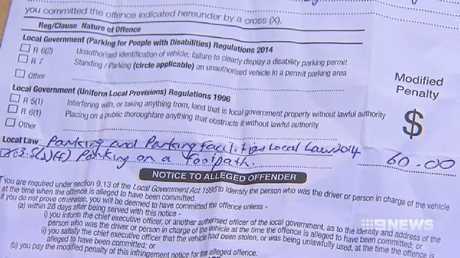 "I saw it on my windscreen and thought it was hilarious." The council claimed the family, along with all other residents in the area, were told to park on the nature strip instead of the driveway. Ms Luntie-Jenkins denied being warned not to park in her own driveway, adding that she was actually told not to park on the road and parking on the nature strip is also illegal due to the position of her house. The parking issue stems from the short driveway, which measures just 5m from the garage door to the letterbox. An average family car would only just fit in the space if parked right against the garage door, so for a bigger vehicle there is no way it can fit without spilling onto the path. Even parking on the road in front of the driveway could result in a fine. If someone parks in front of their own driveway, even if their car can't legally fit on it and there isn't another option, it is considered illegal. The fine can range from about $80 to $260 depending on the state they live in. Ms Luntie-Jenkins said she hopes the council will see sense and understand there aren't any other options for parking. Sustainability expert Peter Newman told Nine News a continual decrease in block sizes means this issue is going to become a lot more common. "If you constantly regulate and go around fining people because they're half an inch over a boundary then we are going to have problems," he said.